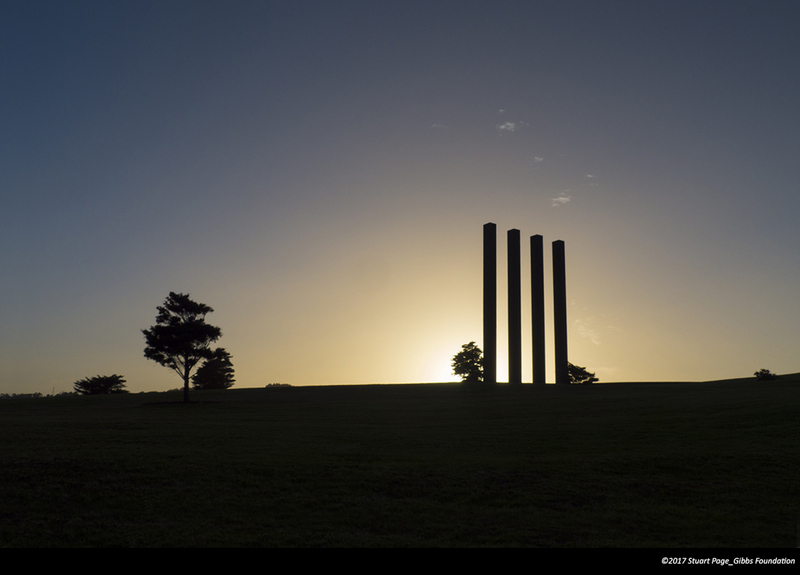 The new minimalist forms of Rogers’ Sentinels create a spectacular silhouette as the sunrises over the undulating vista of Gibbs Farm. 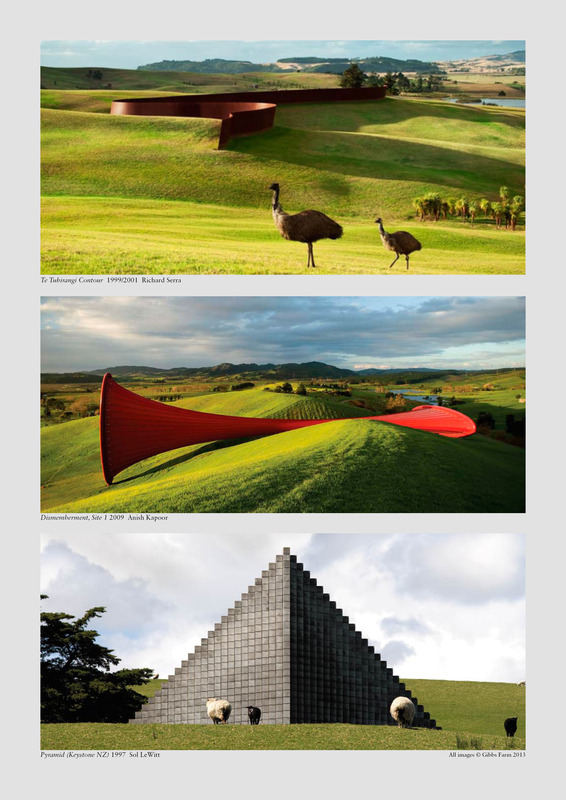 Located on Kaipara Harbour on the North Island of New Zealand, Gibbs Farm is one of the most significant sculpture parks in the world. 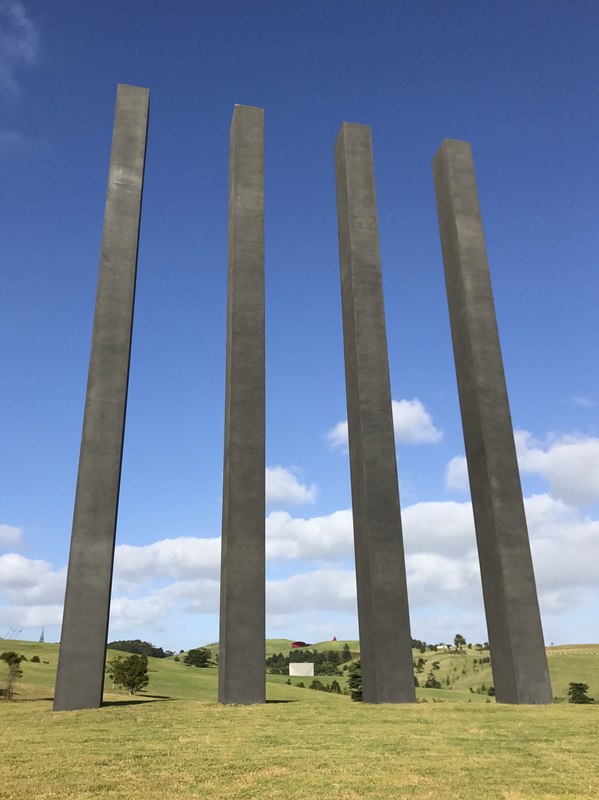 Established over twenty years ago the Farm includes works by Sol LeWitt, Richard Serra, Anish Kapoor, George Rickey, Bernar Venet and now Andrew Rogers. 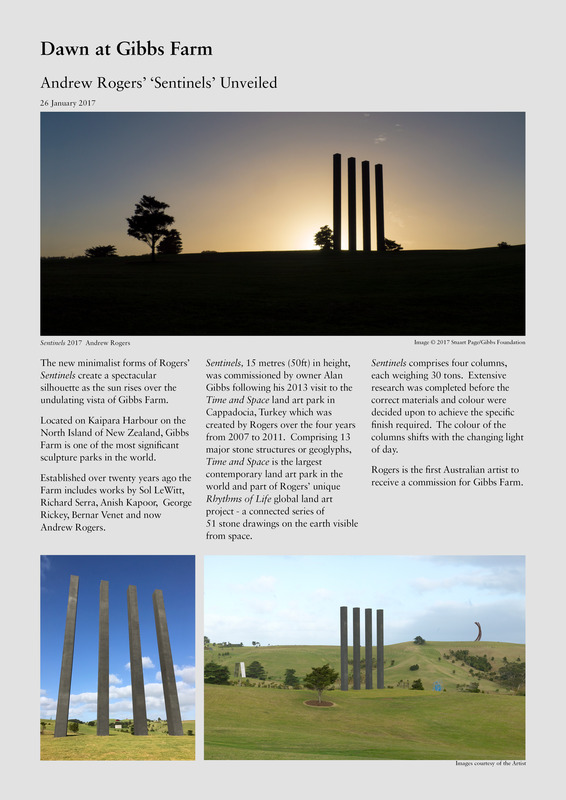 Sentinels, 15 metres (50ft) in height, was commissioned by owner Alan Gibbs following his 2013 visit to the Time and Space land art park in Cappadocia, Turkey which was created by Rogers over the four years from 2007 to 2011. Comprising 13 major stone structures or geoglyphs, Time and Space is the largest contemporary land art park in the world and part of Rogers’ unique Rhythms of Life global land art project – a connected series of 51 stone drawings on the earth visible from space. 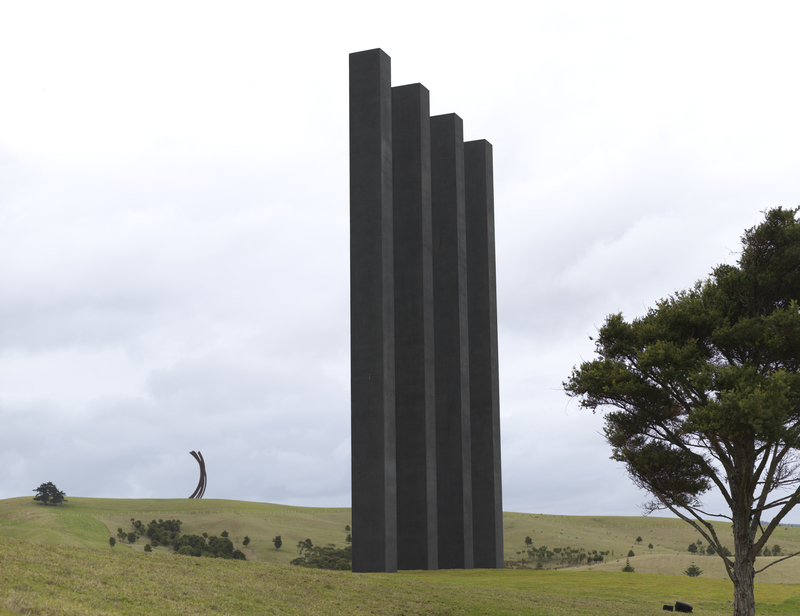 Sentinels comprises four columns, each weighing 30 tons. Extensive research was completed before the correct materials and colour were decided upon to achieve the specific finish required. The colour of the columns shifts with the changing light of day. 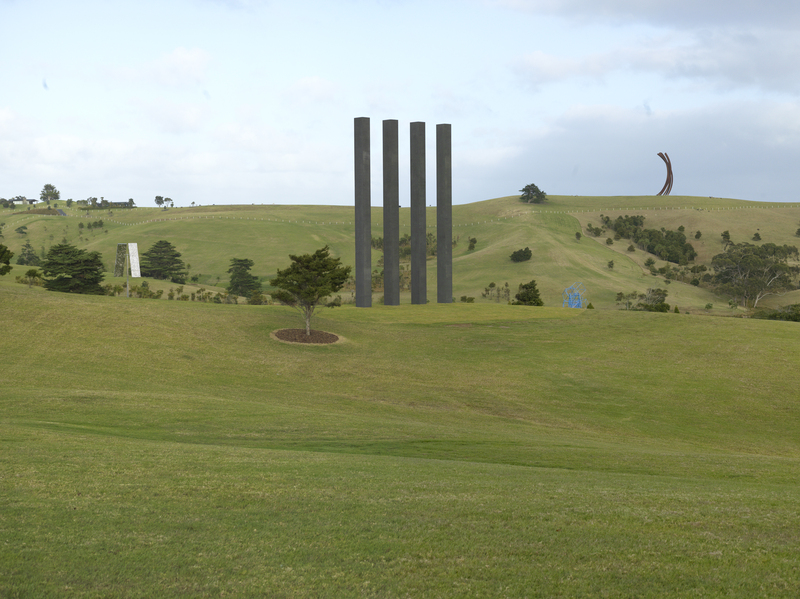 Rogers is the first Australian artist to receive a commission for Gibbs Farm.